Welcome to Goulburn Valley Pork. 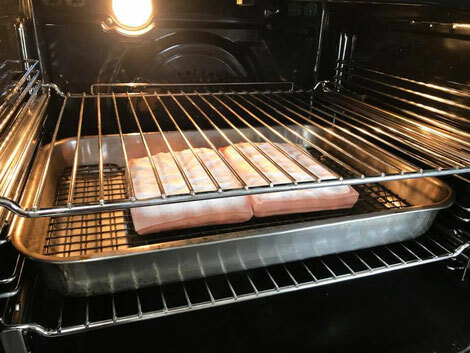 I place the pork belly in a low oven of 160°c on a wire rack with white wine below. I cover the crackle in a thick layer of salt to protect it. I cook it like this for 1 hr. Then I remove the salt (it becomes like a hard cake) and turn the oven up to 230°c and cook for another 30mins. You can actually see the pork crackling. Then serve with any sauce you may like. I like mine just as it is.